Heck! it’s a Chaff Deck! REGINA — Australia’s history with herbicide resistant weeds has lead that nation to develop unique tools and practices to manage weed seeds. Canadian farmers have toyed with chaff control in the past, using carts to collect it for later feeding or burning. 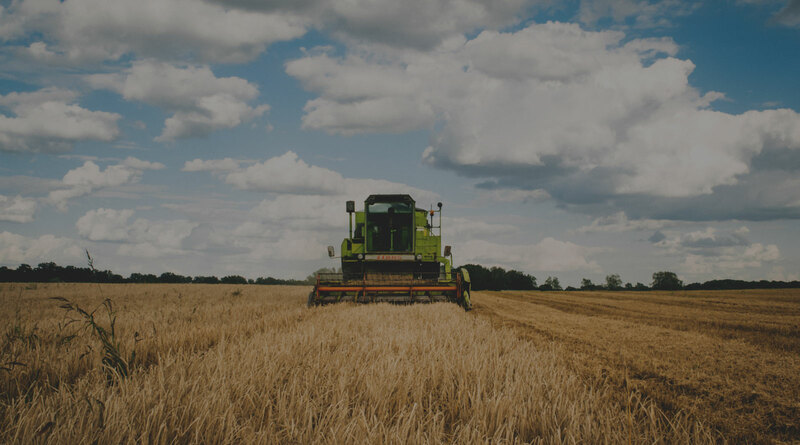 However, Australian producers, facing significant yield losses to the point of devaluing badly infested farmland, have turned to a variety of tools to combat glyphosate resistant Italian rye grass and other pests. The EMAR Chaff Deck is one of those systems. Mounted to the back end of the combine, it takes the chaff feed and, rather than spread it widely, contains it into a pair of strips that follow the machine’s wheel tracks. James Buttle of Esperance, Western Australia, invented the EMAR Chaff Deck. The custom harvester and machinery repairer developed it to help some of his customers deal with their resistant weeds. “I built the first one 10 years ago. Its’ still going. The basic design is the same today: hydraulic motors drive belts (small canvases) that carry the chaff out and drop it into the wheel tracks where it won’t get away on you,” he said. Peter Broley of Primary Industries bought the design from Buttle and builds and distributes the EMAR Chaff Deck. “Not every farmer treats the (rows of chaff) the same,” he said. In some cases, if there is enough moisture the chaff rows compost in place. In very dry years the seeds at the bottom germinate and choke out. Most producers set up spray nozzles to treat the rows and use herbicides to deal with it. The Chaff Deck shifts out of the way for sieve adjustments and “one man can drop it entirely, Buttle does it, but most leave them in place,” said Broley. 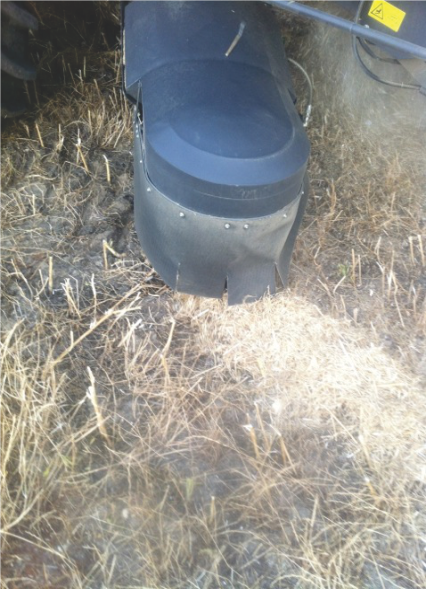 A poly cover helps keep the chaff down as the belts spit it out to the wheel tracks. The company started marketing the Chaff Decks in England last year, where resistant quack grass is a serious problem. The machines were spotted by Saskatchewan’s Redekop Manufacturing executives who decided it would be a good fit with their MAV combine straw choppers and they brought it to Canada’s Farm Progress Show in Regina this year.